Bison crossing the Yellowstone in Hayden valley. 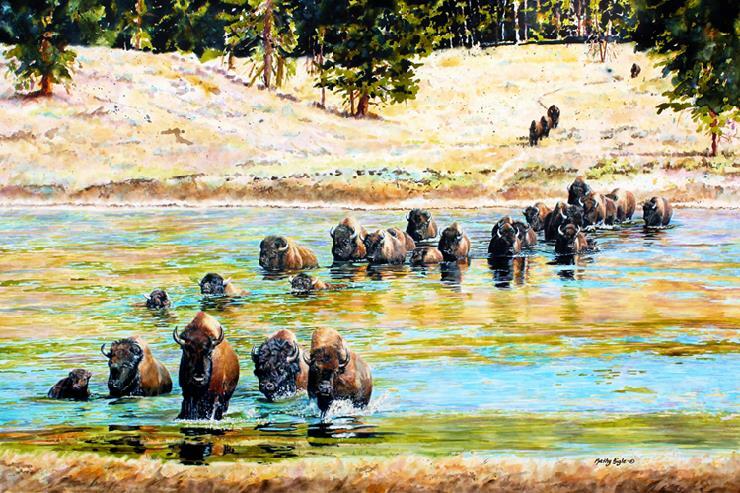 The whole herd would come down out of the trees and underbrush, cross the Yellowstone river, lay out and graze on the bottom land and then cross back over in the evening. Now this is an awesome sight you just don’t see every day.